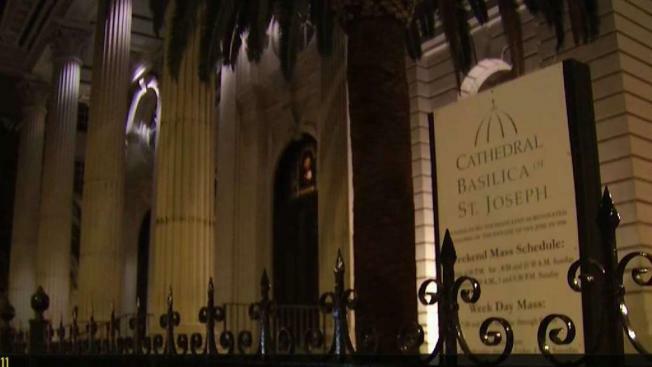 In a major step toward transparency in the local Catholic Church, the bishop of the Diocese of San Jose has announced he will release a list of the names and the status of every priest who has been found to be credibly accused of abusing minors within the diocese. Kris Sanchez reports. In a major step toward transparency in the local Catholic Church, the bishop of the Diocese of San Jose has announced he will release a list of the names and the status of every priest who has been found to be credibly accused of abusing minors within the diocese. In an open letter, Bishop Patrick McGrath called priests' sexual abuse of minors "horrific and heartbreaking" and the subsequent cover-up by bishops "a crisis unprecedented in modern times." McGrath said he and the diocese stand with the victims, survivors and their families. "There is a need for reform; there is a need for transparency in the way the Church responds to allegations of the sexual abuse of minors and vulnerable adults, even as we continue our efforts of preventing abuse and fostering a safe environment for all," McGrath wrote. "We cannot defend priest-perpetrators and those bishops and others who enable or protect them. The only way that we can address the failed leadership of so many in the Catholic Church in the United States and around the world is for the Diocese of San Jose to do what we know is right and just." McGrath said he, church leaders and independent consultants together will develop a plan of accountability for past abuse as well as a path for preventing any future abuse. One of the initial steps of transparency is releasing the priests' names, which McGrath said will come by mid-October. He said the diocese also will hold listening sessions in which victims and their families will have the opportunity to be heard. McGrath also called for an independent review of all Diocese of San Jose records on clerical sexual abuse in the name of transparency, improving the church's response to victims and preventing future abuse. "I hope that releasing these names will help the innocent victims, survivors and their families to take the next step on their journey to wholeness," McGrath wrote, "and that it will give others who have not spoken out the strength and trust to come forward." Recent revelations of the horrific and heartbreaking crime of the sexual abuse of minors by priests – and the systematic cover-up by bishops – have fueled a crisis, unprecedented in modern times, in the Catholic Church. There is a need for reform; there is a need for transparency in the way the Church responds to allegations of the sexual abuse of minors and vulnerable adults, even as we continue our efforts of preventing abuse and fostering a safe environment for all. I and the entire Diocese of San Jose stand with the victims, survivors, and their families. We cannot defend priest-perpetrators and those bishops and others who enable or protect them. The only way that we can address the failed leadership of so many in the Catholic Church in the United States and around the world is for the Diocese of San Jose to do what we know is right and just. I have begun a process of consultation with lay and priest leaders of the Diocese. This past week, I met with members of our independent Diocesan Review Board, chaired by the Honorable Edward A. Panelli, a retired Associate Justice of the California Supreme Court. I have also met with the Diocesan Consultors, a group of priests who advise me. 1)	Listening Sessions - Over the next six weeks, I will hold three Listening Sessions throughout the Diocese. These meetings will focus on seeking input from people in the pews on the pathway to reform, listening to those who have been victimized by clerical sexual abuse either directly or in their families, and praying for God's grace to be our only guide. I invite you to be part of this effort by your presence or your prayers. 2)	Release of Names – By mid-October, we will release a list of the names and the status of every priest who has already been found to be credibly accused of abusing minors within the Diocese of San Jose. I hope that releasing these names will help the innocent victims, survivors and their families to take the next step on their journey to wholeness and that it will give others who have not spoken out the strength and trust to come forward. 3)	Independent Examination of Allegations of Abuse of Minors and Vulnerable Adults – The Diocese of San Jose has arranged for former FBI Executive Assistant Director, Dr. Kathleen McChesney, and her firm, Kinsale Management Consulting, to oversee an in-depth independent review of all records of the Diocese pertaining to the sexual abuse of minors or vulnerable adults committed by any cleric appointed by the Diocesan Bishop to serve in the Diocese. This review of files will also seek to determine how diocesan leadership handled allegations of sexual abuse when they were received. As a result of the examination, there may be additional offenders identified and their names will be released at the completion of this review. We have also asked Dr. McChesney to make recommendations as to how we can improve our processes for responding to survivors of abuse, preventing future abuse, and being accountable and more transparent for the actions of offenders and those who may have enabled or protected them. The reforms that we must undertake at this moment must be based on the principles of the Dallas Charter for the Protection of Children and Young People that have produced positive change since 2002— an unswerving focus on protecting minors and vulnerable adults and a necessary voice for the laity in determining whether an allegation is true. Any genuine reform must forcefully integrate these principles in a framework of accountability that applies to bishops in their personal lives and administrative actions. In this time of crisis in our Church, we must turn to the Lord in our prayer, and we must act justly. Without both, our efforts will not succeed. May God bless us all and lead us in this work. 1) Listening Sessions - Over the next six weeks, I will hold three Listening Sessions throughout the Diocese. These meetings will focus on seeking input from people in the pews on the pathway to reform, listening to those who have been victimized by clerical sexual abuse either directly or in their families, and praying for God's grace to be our only guide. I invite you to be part of this effort by your presence or your prayers. 2) Release of Names – By mid-October, we will release a list of the names and the status of every priest who has already been found to be credibly accused of abusing minors within the Diocese of San Jose. I hope that releasing these names will help the innocent victims, survivors and their families to take the next step on their journey to wholeness and that it will give others who have not spoken out the strength and trust to come forward. 3) Independent Examination of Allegations of Abuse of Minors and Vulnerable Adults – The Diocese of San Jose has arranged for former FBI Executive Assistant Director, Dr. Kathleen McChesney, and her firm, Kinsale Management Consulting, to oversee an in-depth independent review of all records of the Diocese pertaining to the sexual abuse of minors or vulnerable adults committed by any cleric appointed by the Diocesan Bishop to serve in the Diocese. This review of files will also seek to determine how diocesan leadership handled allegations of sexual abuse when they were received. As a result of the examination, there may be additional offenders identified and their names will be released at the completion of this review. We have also asked Dr. McChesney to make recommendations as to how we can improve our processes for responding to survivors of abuse, preventing future abuse, and being accountable and more transparent for the actions of offenders and those who may have enabled or protected them.